Hats by Arkivestry help you add that extra special touch to your costume. 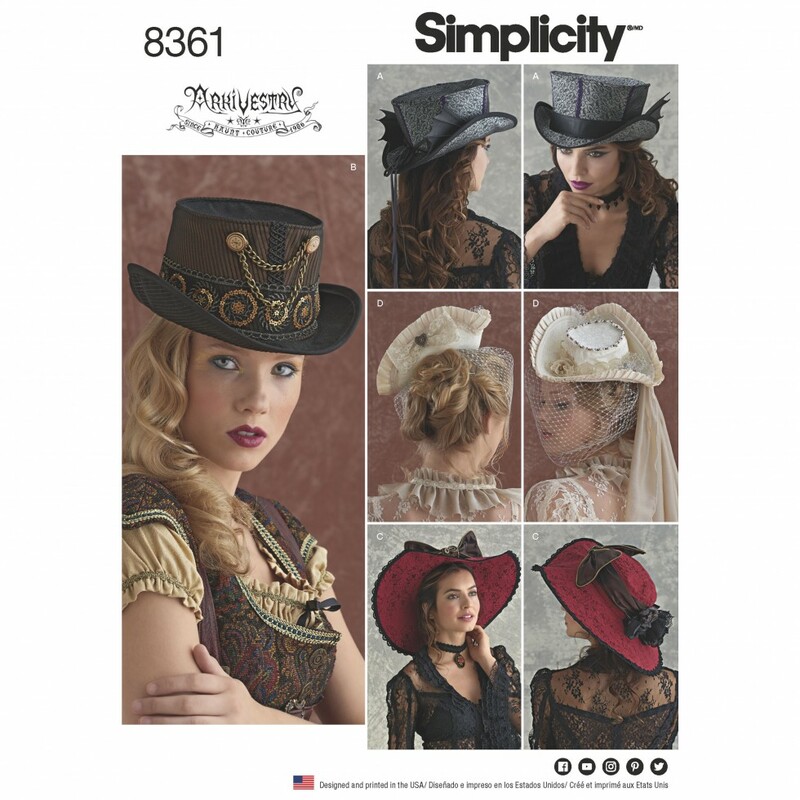 This pattern offers four styles a top hat with detachable hat band, steampunk topper, wide brim hat and a tricorne. Click here to learn more about Arkivestry.